Dr. Lawrence Whicker has been a physician/partner in the practice since 1989. Dr. Whicker is Board Certified in Neurology and has an additional subspecialty/Board Certification in Clinical Neurophysiology and Sleep Medicine. Dr. Whicker provides comprehensive neurological care with particular emphasis in neck, back, and limb pain, dizziness and vertigo, Parkinson’s disease, and sleep disorders. He is a member of the county and state’s medical societies and the American Medical Association. He is also a member of the American Academy of Neurology and is a fellow of the American Clinical Neurophysiology Society. Dr. Poltorak joined Neurological Medicine, P.A. in 1999 and became a partner in 2003. Board certified in general Neurology and Vascular Neurology by the American Board of Psychiatry and Neurology, Dr. Poltorak belongs to multiple medical/neurological associations, including the American Academy of Neurology. Dr. Poltorak specializes in strokes and multiple sclerosis. He is an expert in peripheral nerve problems, neuropsychiatric disorders, sleep and movement disorders as well as seizures. Dr. Poltorak graduated with distinction from Warsaw Medical School in Poland. He attained his PhD by conducting both clinical and research work on multiple sclerosis. Later, he studied neurodevelopmental and neuroimmunological pathologies at the University of Heidelberg, Germany. He then conducted studies at the University of Maryland School of Medicine and the National Institute of Mental Health (NIMH) – Neuroscience Center, where he continued neuroscientific research on movement and neuropsychiatric disorders for nine years. He completed his internal medicine internship and neurological residency at the George Washington University in Washington, DC. During his research, he published over 70 full-length papers in renowned peer-reviewed scientific journals, in addition to book chapters, and over 100 abstracts. 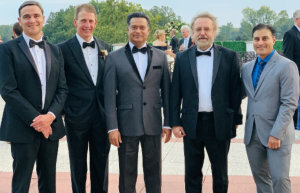 He received numerous honors including the Alexander von Humboldt Foundation Research Scholar Award, the Senior Scholar Fulbright Research Award and twice the Stanley Foundation Research Award. He served on the Editorial Board of the Journal of Neurotransplantation, and was a peer-reviewer for numerous scientific journals. Dr. Asad joined Neurological Medicine in July 2003 as a staff member. He became one of the partners in July 2007. He is an active member of the American Academy of Sleep Medicine and American Academy of Neurology. Dr. Asad did his neurology residency at the Medical College of Virginia Hospitals-Virginia Commonwealth University (MCV-VCU) from July 1998-June 2001. During his residency, he received subspecialty training in headache at the University of California San Francisco. Dr. Asad then served his clinical Neurophysiology fellowship at the University of Maryland Medical Center (UMMS) in Baltimore from July 2001-June 2002. He is well trained in interpreting Electroencephalogram (EEGs), Visual (VEP) and Brain Stem Evoke Potentials (BSEP), Nerve Conduction Studies and Electromyographic studies. He is board certified in Clinical Neurophysiology. During this time, he received another fellowship from July 2002-June 2003 at the University of Maryland Medical Center (UMMS) in Baltimore, he also received advanced training in sleep disorders and medically refractory epilepsy, pre-surgical evaluation and management of pediatric and adult epilepsy patients. He is board certified in Sleep Medicine sub-speciality which is administered through the American Board of Medical Specialties/American Board of Psychiatry and Neurology. Dr. Asad also worked with the Maryland Brain Attack Team (BAT) in The Maryland Brain Attack Center at University of Maryland Medical Systems as an acute stroke Neurologist and is actively working to prevent stroke and aggressively educating patients and families about stroke risk factors and modifications and working with the primary care physicians in the community. Dr. Nabeen Hussain joined Neurological Medicine in July 2005 as a staff member. Dr. Hussain began his medical training graduating at The Johns Hopkins University in 1993. He subsequently received his medical degree from Hahnemann University School of Medicine in 1997. Dr. Hussain is board certified by the American Board of Psychiatry and Neurology. He was honored as the resident of the year from his neurology training program at the National Capitol Consortium, and is a medical instructor at the Uniformed Services University of the Health Sciences. 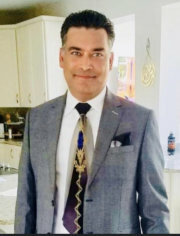 Dr. Hussain proudly served in the United States Army between 1997-2005, and retired as a Major while serving at both Walter Reed Army Medical Center (AMC) in Washington, D.C., and William Beaumont AMC in El Paso, TX. In addition to English, Dr. Hussain speaks Hindi. Special interests in Neurology include: Stroke, Epilepsy, Dementia, Headache, and Neuropathy. Dr. Hussain is an active member of the American Academy of Neurology. Dr. Kenneth Kudelko joined Neurological Medicine in July 2008 as a staff member. He is board certified by the American Board of Psychiatry and Neurology. Dr. Kudelko graduated with a Bachelor of Science from the University of Michigan in 1994. He went on to study medicine at the George Washington University, where he earned his M.D. in 1999. He then completed his neurology internship and residency at Walter Reed Army and Bethesda National Naval Medical Centers during 1999-2003. From 2003-2008, Dr. Kudelko worked as a staff neurologist at the Tripler Army Medical Center in Honolulu HI. During this time, he deployed for one year to Iraq where he served as a physician in support of the 25th Infantry Division. He completed 9 years of active duty service in the U.S. Army during which time he was promoted to Major. Dr. Kudelko’s interests include headache, stroke, multiple sclerosis, seizure, and dementia. He is an active member of the American Academy of Neurology.